Unless you’ve been hiding under a rock I’m sure you’ll have heard of the M.A.C. 217 brush. It’s probably one the most, if not the most famous makeup brush in the world. So firsts things first…you know I’m not a massive fan of M.A.C. Brushes. Yes they have an incredibly versatile range and yes they are most peoples go to range when starting out but, I find that the quality does not always live up to the price. Well now I have that off my chest I feel I can give you my honest review of this famous brush and let you know if there’s anything out there as good. 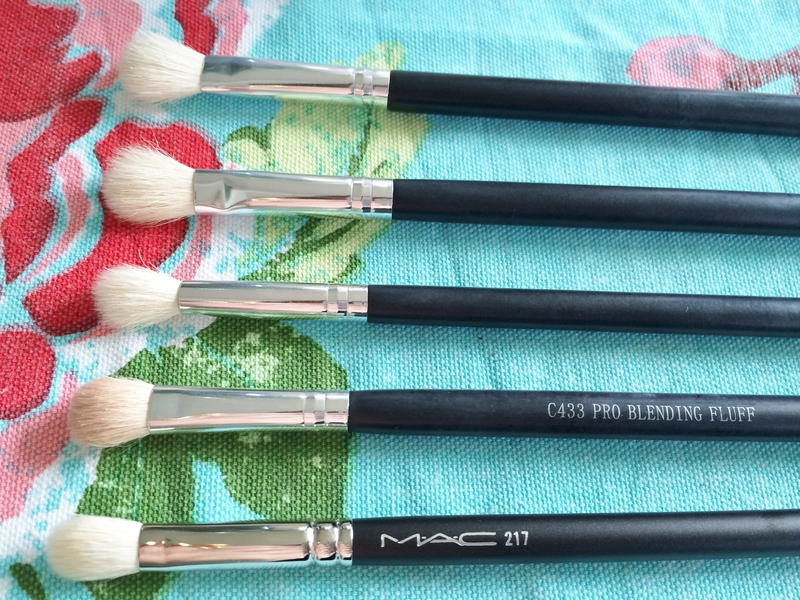 The 217 is an eye shading/blending brush. It has soft bristles that finish to a lovely rounded dome shape. Now we all know that the key to any fab eye look (especially that coveted perfect smoky eye) is good blending. It’s one thing packing on colour with a good lay down or crease brush but, if you don’t blend it out nicely it will just look a hot mess! So this is where the 217 steps in to save the day. 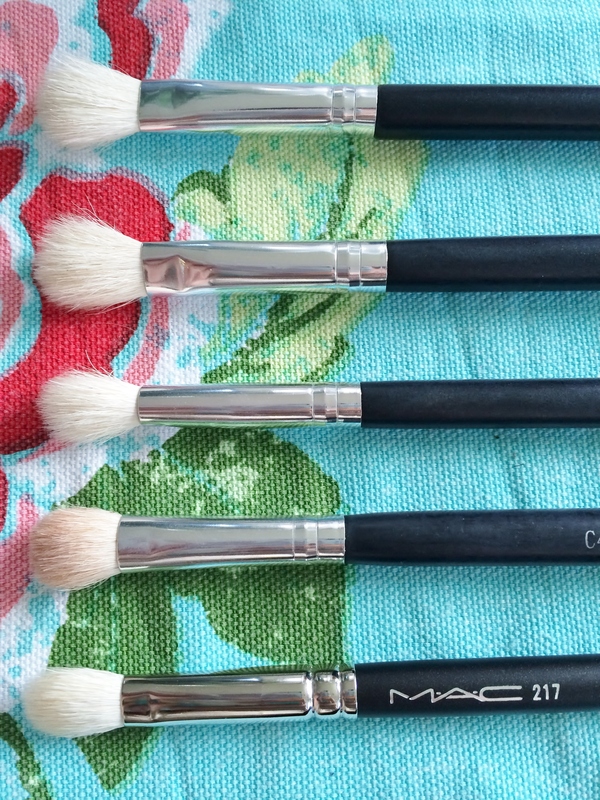 It really is the perfect blending brush. It is soft, doesn’t absorb too much product and seems to perform well with powder and cream. The main thing for me however is that a) it doesn’t splay easily and b) it isn’t scratchy. As you can see from the pictures above I have many different 217 dupes. Apart from that I have a ridiculous amount of different other kinds of blending brushes. My overall verdict…the 217 is the absolute best there is. It’s difficult to explain exactly why this is. I know that all the versions pictured above look the same but don’t be deceived, none will give the perfect results a good technique and a 217 will! Now I am aware that at £18 a pop, combined with the fact that any good eye look requires at least two blending brushes, well it can get a little or a lot expensive to say the least. Especially if you do a lot of different looks then you need loads of 217s! This is the reason I have been searching for the perfect dupe. My fave is the Crown C443 blending fluff – £6.09. It is a little chubbier than the 217 and in all honesty is a little on the scratchy side but it performs quite well. Unfortunately it doesn’t have the edge the 217 has! Another couple of options are the Sigma e25 blending brush – £9.50 or the No7 eye contour brush -£7.50. If all else fails you can try searching ebay. They usually have some dupes for as little as £1. Be warned though, they are usually scratchy and bad quality! I do really want one of these! But then I worry it will fall to the bottom of my make up bag and never get used, which happens a lot with brushes and for £18 that would be a shame! I still haven’t bought this brush. So many people have said it’s a great one too. The MAC brush I use the most is the 109 and I use that for blushers. It was also the very first brush I bought too. I just bought one of these and I am in LOVE. I thought my other brushes were close dupes but there’s something about the 217!